Don’t do what you said you’d do. Ok, not with everything but some things. Sometimes it is necessary to be a promise breaker; to be a woman who doesn’t do what she said she would do. 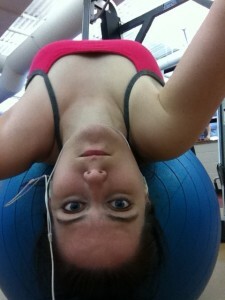 Today while I was working out and watching my form in the mirror, I struggled to see past the flab to see the fab. I realized I had made some promises to myself that are anything but helpful. Those are some rather crappy promises if you ask me! They all stem out of a fear of being prideful. After all, pride goes before a fall. Guess what? Low self esteem never gets up! Today I am embracing my flaky and unreliable side and breaking all these promises. But there is one promise that I made today that I am going to keep. 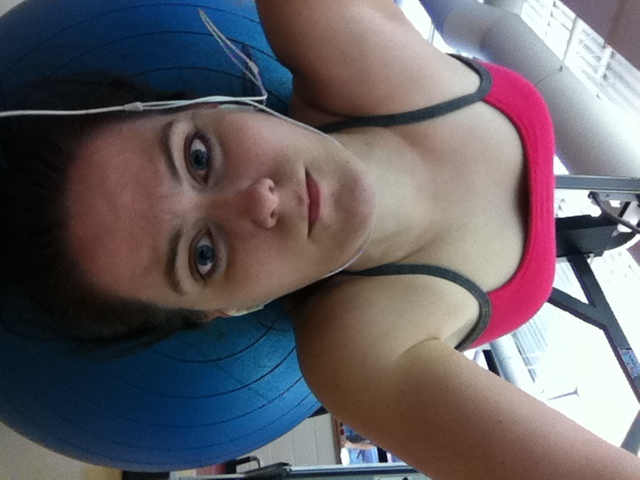 I will not pass out while stretching my very tight abs at the YMCA….that would just be embarrassing! You can literally SEE the blood rushing to my head...so intense but oh so necessary! What promises are you going to break? Oh and since you’re not feeling so fab today..i’ll just chime in and tell you why i think YOU’RE fab. Do you think all women struggle with these issues? I know very few who are confident in who they are and what they do and even those ones have some underlying self confidence issues. How do we change this? I am much better than I used to be and get better by the day but I get scared to be confident in myself and worry others will think I’m cocky or think too much of myself. Work in progress, right? Re Lisa’s comment — we must believe we are fabulous and good. We must!! Somewhere in tween or early teenage years, something happens with girls where they lose their confidence, and lose that innate sense that children have of who they are. That beautiful aura of just being you and un-self conscious in the world. I remember it happening, but don’t remember why. Then it’s a long climb back. But climb back we must. I swear I will help my two young daughters with this when the time comes. Avoid it if possible. The world cannot afford to lose fabulous women to self-doubt. Ok, now I’m all fired up!